The Line 6 XD-V55HS digital headset wireless system delivers unmatched digital wireless performance, simplicity, and sound on every stage around the world – license free. Exclusive digital technologies protect you against all types of audio interference, and your setup and operation couldn't be simpler. You just power up, pick a channel, and go – with no hoops to jump through and no required adjustments for you to make. Best of all, the XD-V55HS takes Line 6's digital modeling to the next level. Choose from three different EQ filter models to get the best possible live vocal sound for your voice and style! 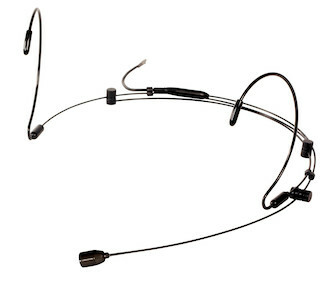 If you want the pinnacle of digital wireless microphone technology, the Line 6 XD-V55HS digital headset wireless system has everything you're looking for.